This one is for Labrador retriever fans. Even though I’m more of a golden retriever kind of guy. His name’s Ducky. He’s a handsome yellow lab. I did this pen and ink portrait as auction prize for our retriever club a few years back. 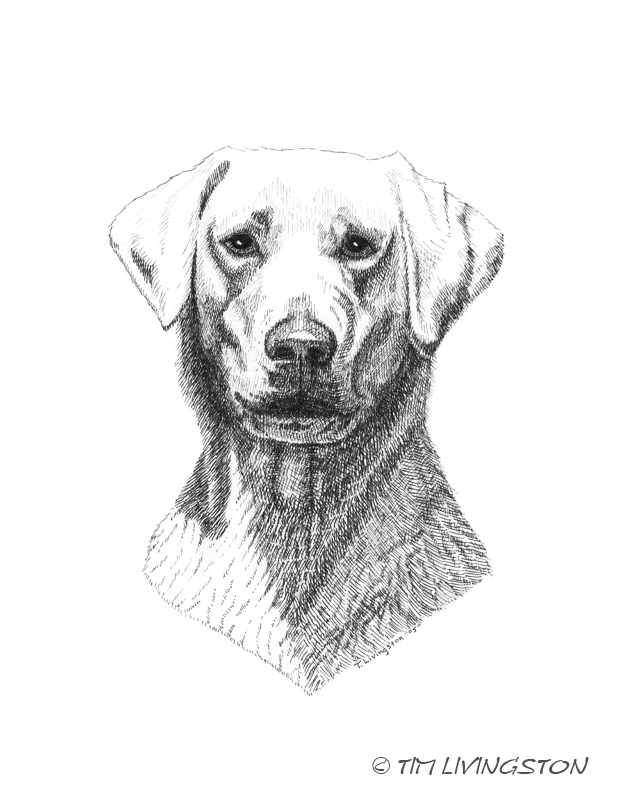 This entry was posted in Drawing, Pen and Ink and tagged dog, Labrador Retriever, retriever, yellow lab by foresterartist. Bookmark the permalink. This is wonderful! I can’t imagine a person not loving labs, they have such likable personalities! An strong desire to please is what makes a good retriever. Who doesn’t love a lab. Great job. Just beautiful , Tim. I love those labs. I have one chocolate lab left named Molly who will be 8 soon. She was a throw away dog and I took her in after the manger of the apartments next to me asked if I would take her. She is a sweetheart. You have such a big heart Yvonne. Retrievers were bred for a desire to please. That’s what makes them so endearing. Thank you so much Johanna! I’m glad you think so. Thank you Caroline! We have a few chow hounds also, but how can we not love them to pieces.